The scale i700 by MyWeigh will warn you with a loud beeping sound if you put too much load on it. 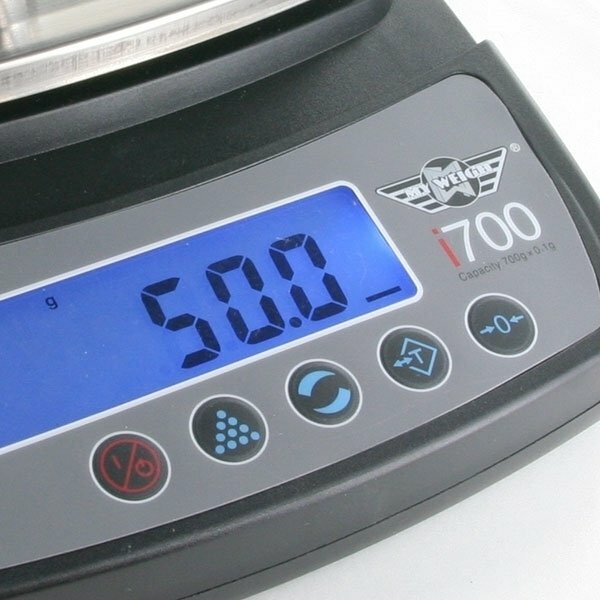 It weighs 700 grams in 0.1g increments and eight different weighing modes. Comes with a programmable auto-off feature and a fancy green back-lit LCD display. AC Power Adapter included. 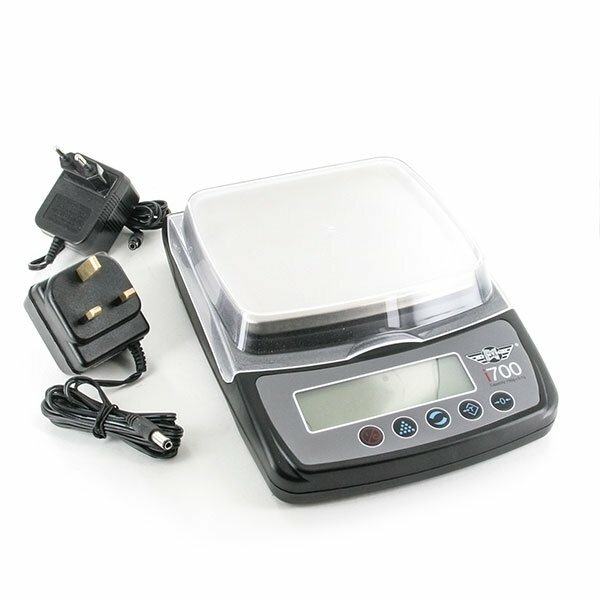 The scale i700 by MyWeigh with its durable stainless steel weighing platform supports eight different weighing modes and has a maximum capacity of 700 grams; displayed in 0.1g increments. The i700 will let you know when you exceed its capacity - it'll notify you with a loud beeping sound that won't stop until you remove the excess load. This nifty scale comes with a programmable auto-off feature. Program it to turn off after a certain time or to stay on until you turn it off yourself. Also handy, the i700 "remembers" the weighing mode it has been set to when it was switched off. You need to count some items? No problem, simply weigh a sample amount of pieces (which should be 10, 20, 50 or 100) and you are ready to count. 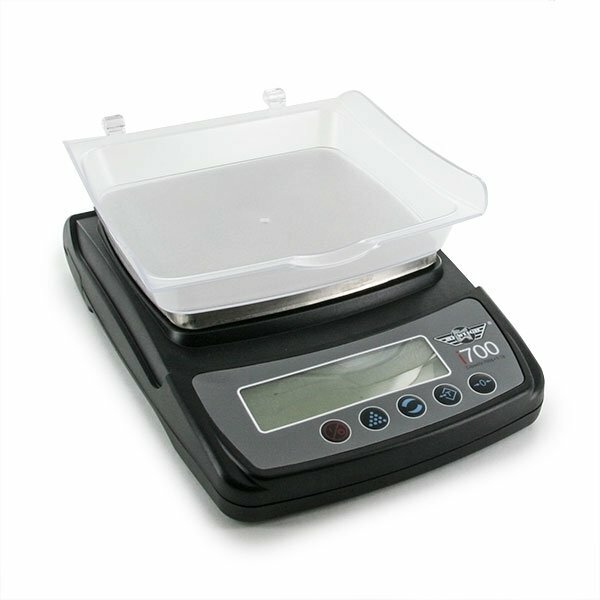 The i700 has a durable stainless steel weighing platform, covered by a hinged lid to protect the scale from overload while it is not in use. The results of weighing and counting are displayed on a bright green LCD screen.